There are 6 official religions in Indonesia (Islam, Protestantism, Catholicism, Hinduism, Buddhism and Confucianism). Even though most of population (might be around 87%) is Islamic, there are islands, where you can find majority of inhabitants with different beliefs. For example, in West Papua, Papua and North Sulawesi we have Protestants, in East Nusa Tenggara (where the island of Flores is) and West Timor you can find Catholics and Bali Island, with its Hindu beliefs. 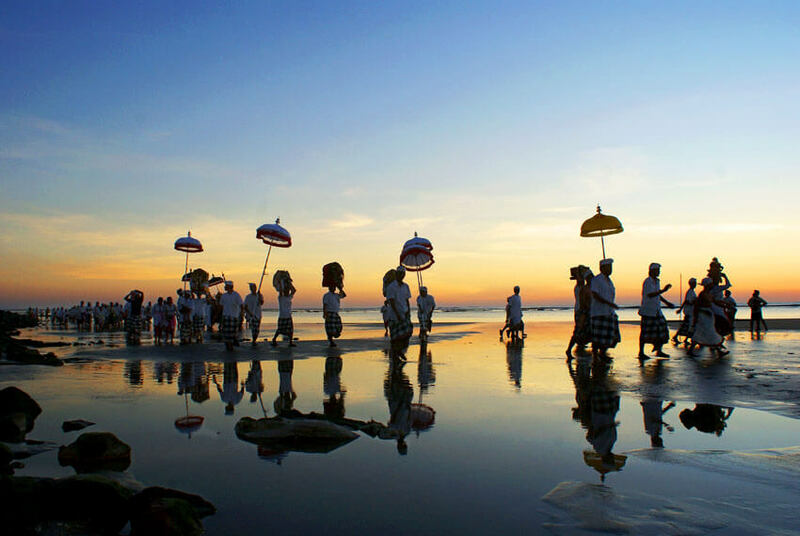 Thanks to Bali religion, rich Balinese culture and traditions has this island became a favorite tourist destination. 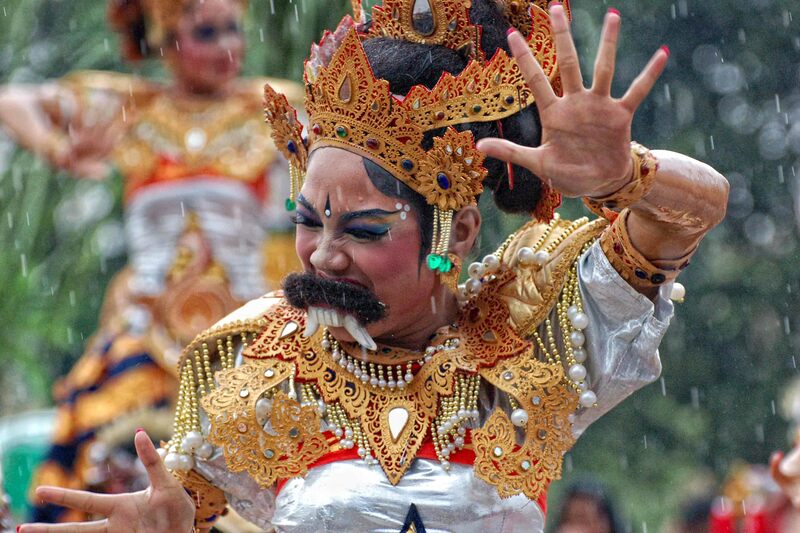 Foreigners come and go, but Bali still manages to preserve its original traditions for thousands of years. Balinese people follow the unique form of Hinduism - Agama Hindu Dharma. Balinese Hinduists believe in a power of nature, they believe that each element is influenced by spirits. Spirits and ancestors are very highly appreciated, that’s why you see people making the rituals and offerings every day. 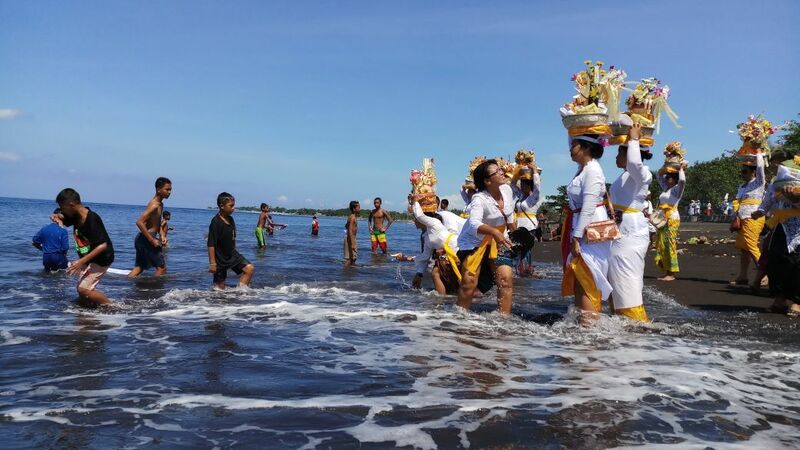 Hinduism in Bali was influenced by animism, Buddhism and also by local traditions (adat), therefore, comparing to the Indian form of Hinduism, it formed in a different direction and has many different elements. Even though it might be many times confusing, Balinese Hindus believe in only one Supreme God called‘Sang Hyang Widhi Wasa’ and all the other gods are manifestation of this Supreme Being. Balinese Hinduism has five pillars of faith: belief in one Supreme God (brahma), belief in the soul as the universal principle of life and consciousness (atma), belief in the process of reincarnation (samsara) belief in the fruition of one's deeds (karma phala) and belief in ultimate release, unity with God (moksa). Three main manifestations of Supreme Being are Brahma – the creator, Vishnu – the preserver and Shiva – the destroyer. These three gods move the world through an endless process of creation, balance and destruction. Except these, there are many other Hindu gods and goddesses or mighties, which are considered as emanating from a single source. Their belief in the soul as the universal principle manifests as an inner strength which is in every human being and it is closely connected with reincarnation. The reincarnation in Bali is usually within the family, so every newborn baby is believed to have one of the ancestors’ soul. Balinese believe in karma, which is understood as a result of physical and spiritual activity of each individual. What you give is what you get. You bring your karma from your past life into the present life and will take karma from this life to your future one - your next reincarnation. After death, soul passes to another body, but always seeking to free itself from incarnation so that it can attain enlightenment – the unity with the God. When person dies, but its soul has not yet achieved this state, it continues with the incarnations. 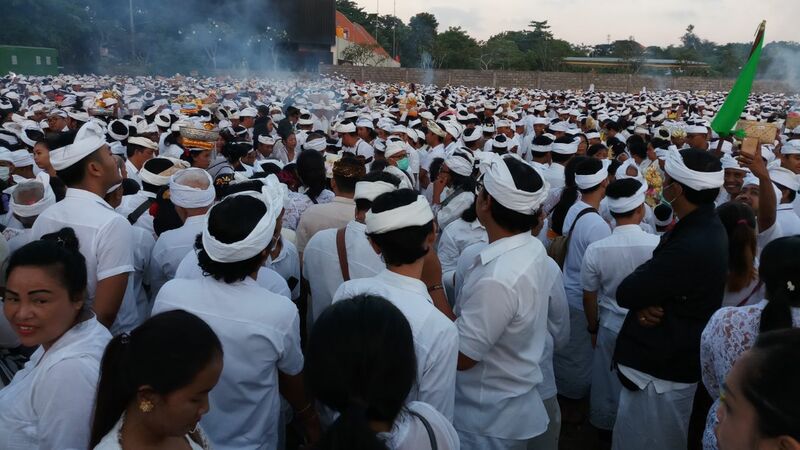 Every important event in human life is always followed by particular ceremony, for example there are Balinese ceremonies for birth, puberty, maturity, marriage or death, then there are ceremonies on important holidays in Balinese calendar as Nyepi (day of silence), Galungan and Kuningan or ceremonies connected with natural phenomena (like full moon or no moon). With these ceremonies and daily rituals, people are getting closer to the gods, ancestors, families and community. 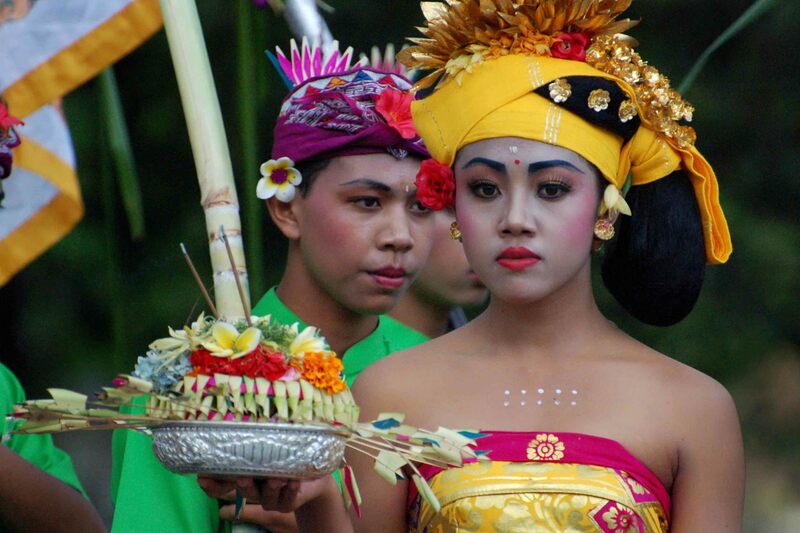 Tourists find Balinese traditions and beliefs very interesting, because of their uniqueness. When you visit Bali for the first time, it's a must to see at least one of the important temples. 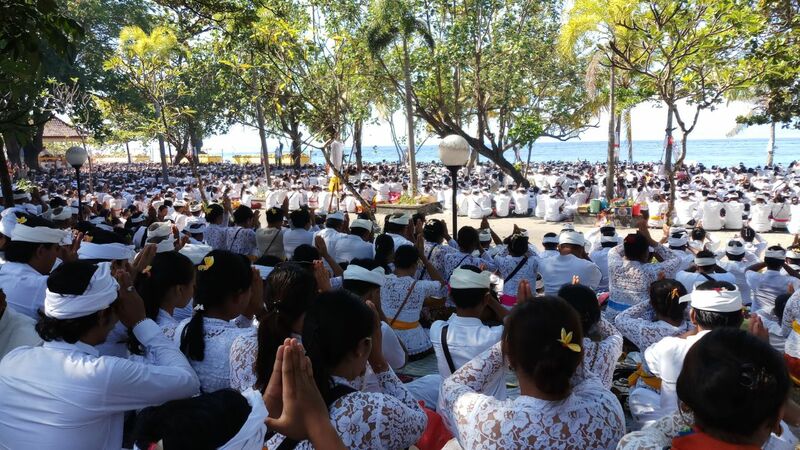 If you come during big ceremony, you'll witness the crowd of people dressed in white or colorful traditional clothes, bringing plenty offerings made mostly of food, fruit and flowers. After they place the offerings, they sit together and follow the praying ritual led by a priest. Balinese culture is influenced by the religion beliefs; we can say that the religion and culture influenced each other and also development of every kind of art in Bali. Music, drama and dance were part of the ceremonies and temple celebrations. Watching the dance performance for the first time might feel creepy, scary or even funny... After you dig deeper and learn about the stories that are interpreted by music, dance and costumes, it'll make much more sense and it'll actually get much more interesting. 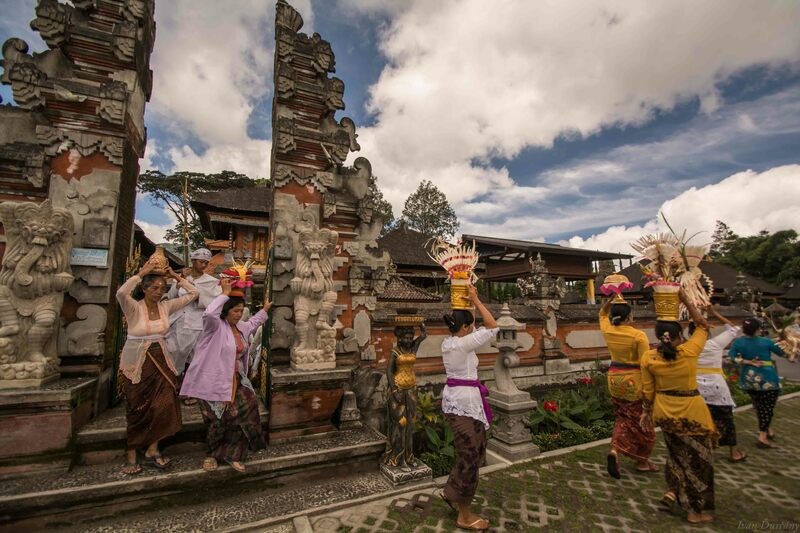 There are few types of Balinese dance, but what they all have in common, is that the dancers use their whole body to tell the stories from the past. The dance will amaze you by its movements, where every part of body from the head to the tips of the fingers and toes has its own precise position. What makes it special and maybe bit creepy is the way of using facial expression and eyes to tell the story. You won't see this anywhere else in the world. 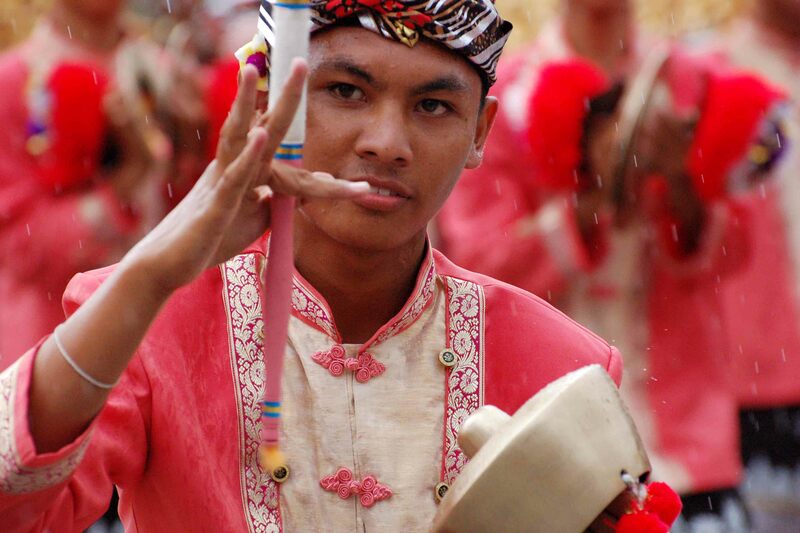 Dancers are usually accompanied by the traditional music called gamelan. In Balinese music you can hear instruments like bronze and bamboo xylophones, gongs and a number of gong chimes, variety of percussion instruments like cymbals, bells and drums. Want to have real unforgettable memories? To try something traditional and feel like a Balinese on your own skin? For the body, mind and soul experience, there's many kind of Balinese traditional healing methods. If your body needs to relax, don't miss the opportunity to try Balinese massage, reflexology, or other spa treatment. To go further and more authentic, it has become very popular for tourists to also seek help of Balinese traditional healer (mainly because of the Eat Pray Love). Well, it is possible you'll find love in Bali like Julia Roberts, but you can also find solutions related to other aspects of your life. 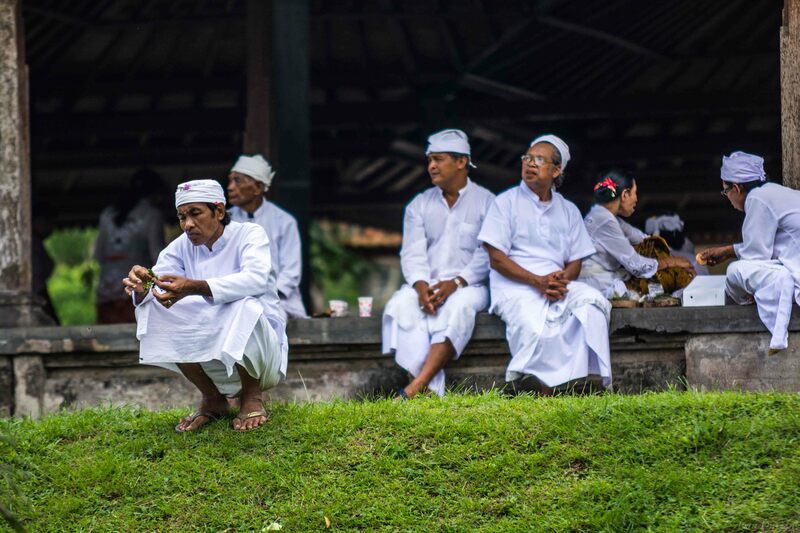 Balinese Traditional healers (Jros, balians, shamans, dukuns or however you call them) are gifted people treating physical and mental disease, they can deal with “mysterious” diseases or life situations. They can give you advice when you feel indecisive, or lead you back to the right path, if you lost your direction for a moment. People ask questions about love, health, career or other important parts of their lives. In addition, you might get healed using herbal medicine and oils, as well as by traditional, but quite painful massage. Well, that's bit from the Balinese culture and traditions, if you're interested to know more, you can read our other articles or simply come and we'll create your own Eat, Pray, Love Bali story.